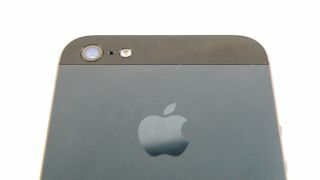 Apple has filed a patent that could make the iPhone 6 a much more exciting proposition for would-be photographers. The patent, found by Apple Insider, documents a system whereby the main iPhone can remotely control other illuminating devices, in a similar manner to that seen in professional photography studios. What's interesting though is that this isn't limited to 'slave' devices, which traditionally are flash bulbs that work from an optical signal from the main camera. According to the patent filing, other iPhones, iPads or third party devices could be used to provide additional lighting and dramatically enhance the quality of the scene you're shooting. This might not sound like a big deal, but in the same way Samsung Galaxy S4 devices can become a virtual surround sound system by connecting together to play the same tune, so could an array of iPhones be used to make a much better-lit scene when out getting down with chums. I flash for you, O Master! The patent describes other cool elements too: the master device can take a test shot and then information to the other units to give position instructions to improve the quality of the picture. This means your friends will get an on-screen notification on how to angle the shot, thus making sure it's as high quality as possible. It's easy to see third party options being made available that can do this automatically too, thus making a photographer's life easier. And Apple would use Wi-Fi or Bluetooth signals to initiate the light function of the other units, replacing the erratic optical system used today. Of course, this is another Apple patent, which means it will probably never see the light of day – plus the iPhone camera would have to be dramatically enhanced, either through a better sensor or decent third party add-ons, to make it into a camera worth all this hoo-ha. Still – new stuff is always fun to look at, right – even if it was first filed back in November 2011. And you would lose your mind when trying to rig up a light array of your friends at 3AM in a dingy club: "NO, move it THAT WAY! The shadow is STUPID!"